Thanks for the interesting recipe. I followed your recipe almost exactly and got absolutely deliciousjuice at the end. It looks so warm & comforting! I can't remember the last time I had rice pudding. 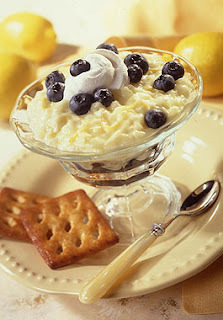 Oh, I love blueberry and I LOVE rice pudding - beautiful combination! Love your photos as well - delightful.